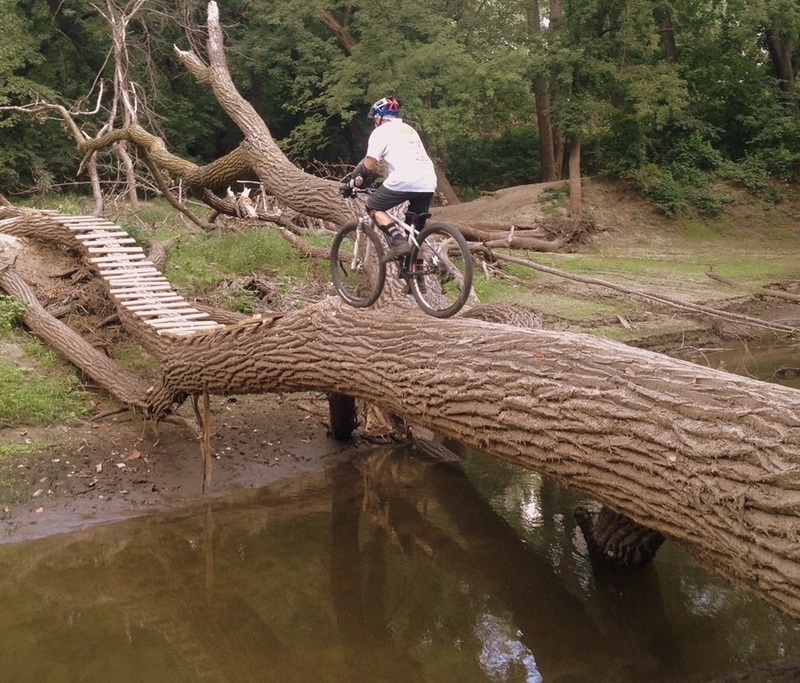 For the fourth consecutive year, the MN High School Cycling League headed back to Mt. Kato, for Race #7. 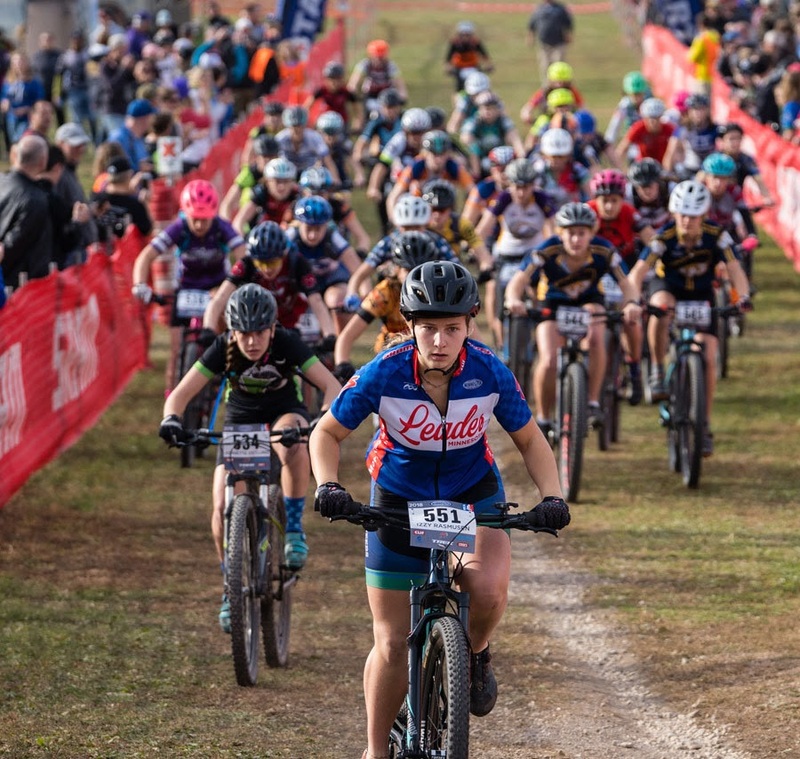 This State championship race was held in Mankato, MN on Saturday, October 27 and Sunday, October 28, 2018. 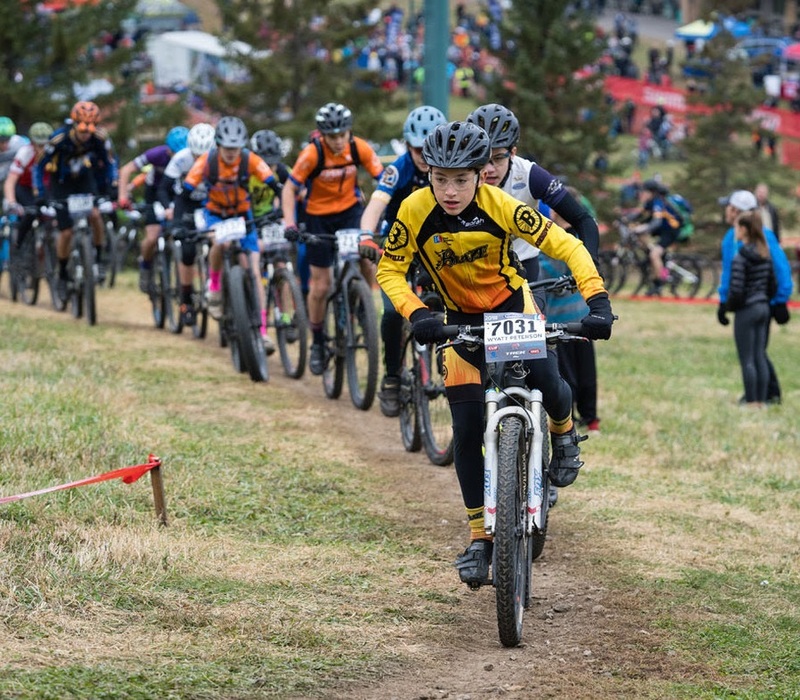 A favorite course for many young racers, the location, and venue easily accommodated the 3,500+ racers and spectators that attended the event. For two days, over 1,200 racers from 64 teams across the state of Minnesota, Iowa, North Dakota. 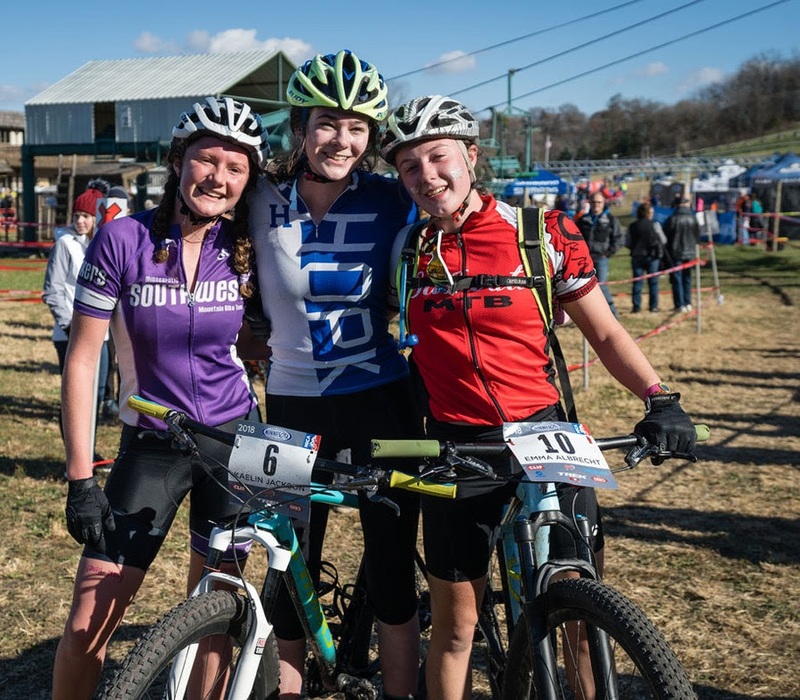 South Dakota and Western Wisconsin came together to compete in the final MN HS Cycling League race of the 2018 season. Since there was a bye-week schedule in place for the season, each of the six previous races had a reduced number of teams competing, resulting in less impact to the event venues and students were able to compete against different racers. But, at this race event, all of the MN League teams were able to compete in one race; resulting in the largest MN League race to date. As the team tents went up on Friday evening, the race course and community came together. 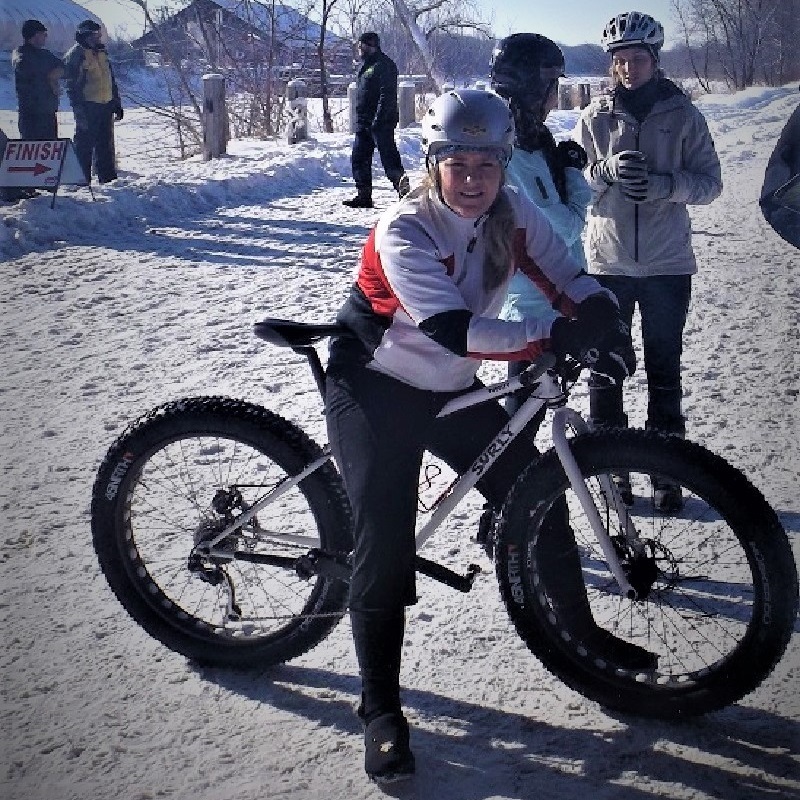 People were laughing, dogs were barking, cheers of encouragement were heard along with excited voices shouting out greetings – the MN League race venue had arrived in Mankato for two days of action-packed mountain bike racing and not a speck of snow in the forecast. This year, the weather cooperated, two days of brisk, bright days made for an amazing race weekend. 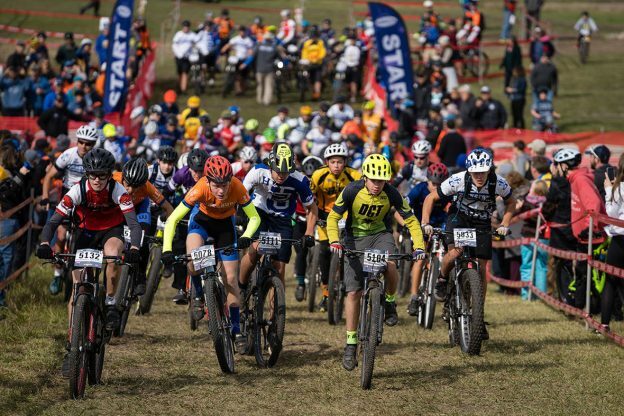 Against a backdrop of brilliant fall colors, racers wound their way up the mountain, and then into the wooded singletrack, to complete a lap in the just under 4-mile course. Based on a rider’s skill level, the number of laps increases, with varsity riders completing four laps or 16-miles. As the last race of the season, and for many seniors, the last race of their high school careers, the finish line was filled with cheering spectators and close finishes, but there were also tears and hugs, as competitors shook hands one last time. Thank you to the folks at Mt. Kato for their support before and during the race. And, thanks to the team members and volunteers from the Mankato Composite team for their gracious hosting of our core staff dinner on Friday night and their volunteer efforts before and during the race. Get ready Minnesota – racing will be back soon. Watch for news regarding the 2019 racing schedule, later this month. View Race Photos. Photo Credit: Todd Bauer and David Markman – MN League Official Photographers. Since it was Halloween weekend; amidst the cheering fans, there were a few interesting characters: a life-size banana, an elephant, Yeti, a giraffe and even a zebra! Tutus were out, tiaras were on helmets and there was even a racer that went by in a full bear costume. In the Middle School D1 race, Stillwater and Prior Lake almost tied for first place, with a difference of three points. Stillwater secured the first place over Prior Lake and Washburn took home the third place trophy. In the D2 Middle School Team competition, Rochester decisively took the first place trophy over Alexandria Area with Mankato taking third place. In the High School Team Competition, Division 1: Stillwater with podium wins in over 5 categories, took home the first place trophy, with Edina High School securing second place. Southwest Mpls was close behind to take third place. Division 2: Crosby-Ironton High School beat out Highland Park for the first place trophy. Chaska took the 3rd place trophy. 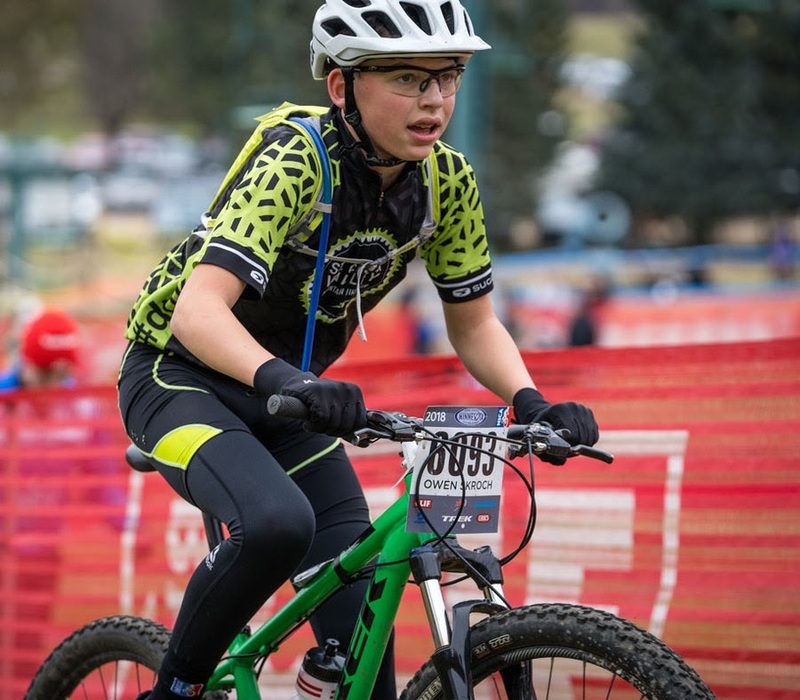 The Minnesota High School Cycling League is a state-wide independent activity provider for student-athletes in 7th to 12th grade. Our mission is to build strong bodies, strong minds, and strong character through cycling, regardless of ability level. 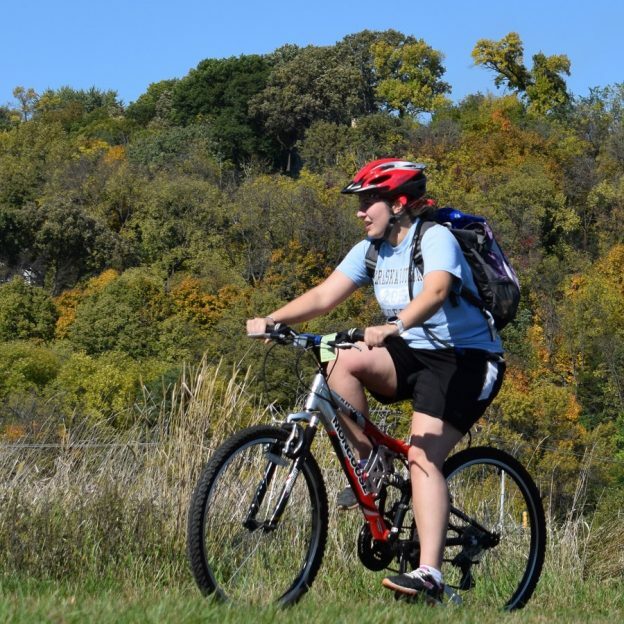 Each MN League season includes summer programs, a seven-race series, wilderness first aid certification courses and a Spring Leaders’ Summit for training and certification of coaches. The MN League exists by virtue of a range of fundraising activities, as well as generous donors, and MN League and NICA national sponsors. For more information on the MN League, visit minnesotamtb.org. This entry was posted in News and tagged Hopkins MN, Izzy Rasmusen Alexandria MN, Mankato MN, Minnesota River Valley, MN High School Cycling League, Mountain Biking, Mountain Biking Mount Kato, National Interscholastic Cycling Association, NICA, Owen Skroch St. Croix Composite, Southern Minnesota, Stillwater MN, SW Mpls MN, Victoria Voss Rochester MN, Wyatt Peterson Burnsville MN on November 4, 2018 by Russ Lowthian. The Minnesota High School Cycling League is heading into its State Championship Race, in Mankato MN, this coming next weekend. 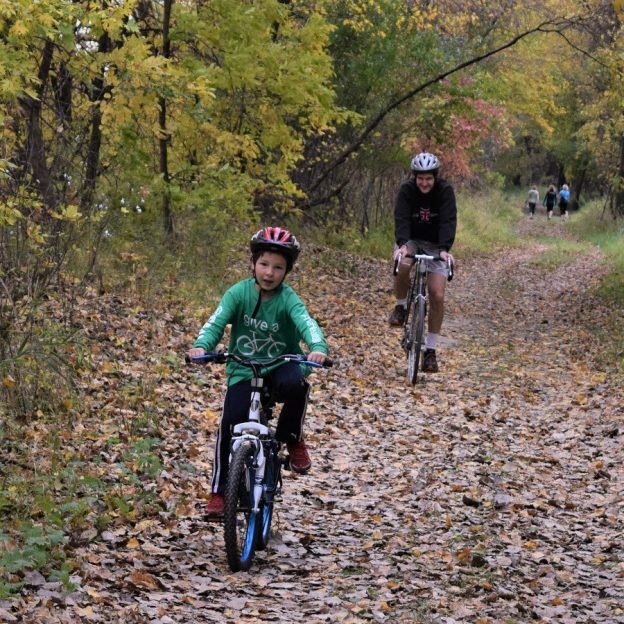 The final race of the season will draw over 1,500 racers from 63 teams to the picturesque Minnesota River Valley Area for the final race of a seven-race series. 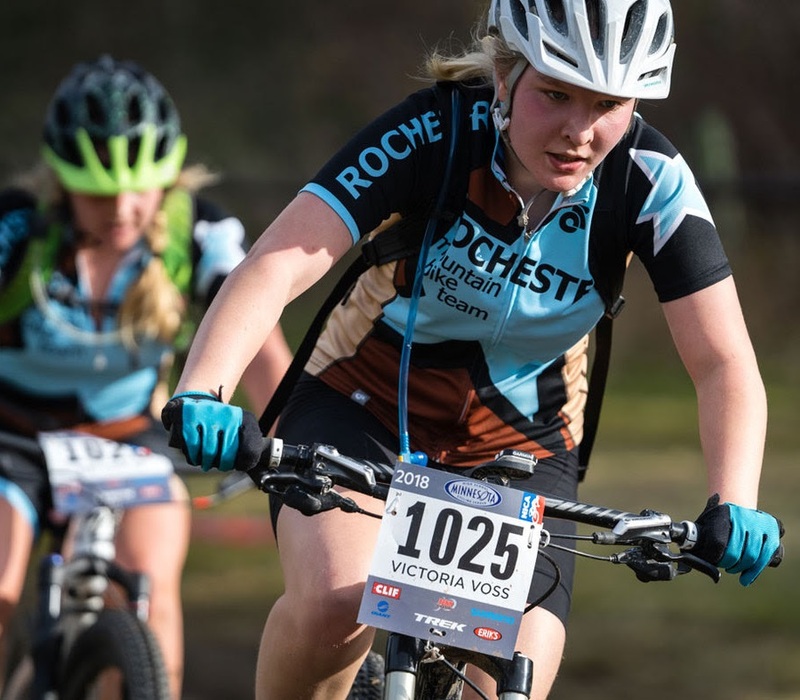 This will be the largest race of the MN HS Cycling League since its inception in 2012. The final event will be held over two days, Oct 27 – 28, at Mt. Kato Ski area, in Mankato. 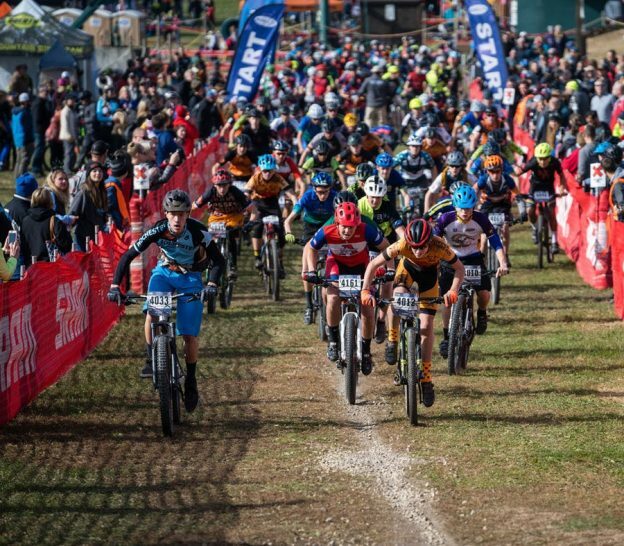 This Minnesota League State Championship Race is the culmination of a seven-race series for over 1,500 mountain bike racers across MN, Western WI and parts of ND and SD. With a bye-week schedule in place through the season. Each race previously held this year had a reduced number of teams competing. 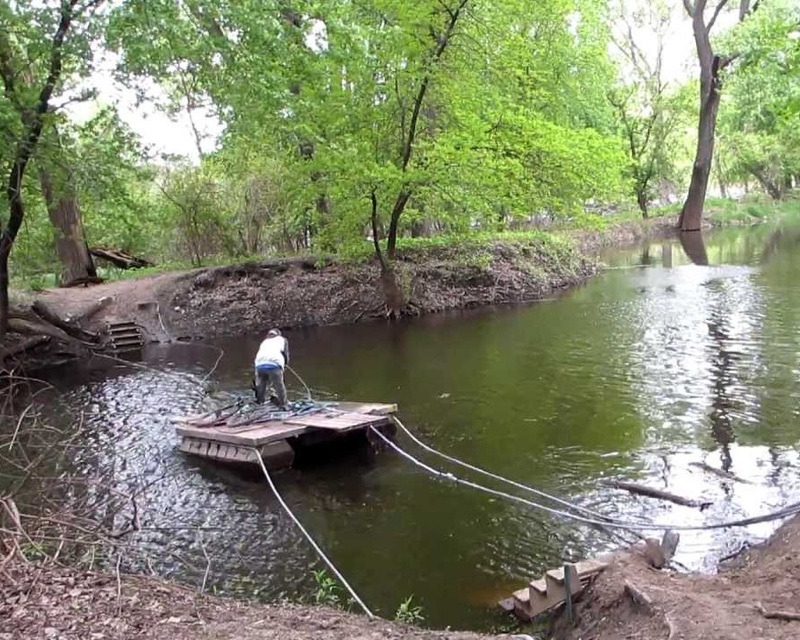 This resulted in less impact to the event venues and students were able to compete against different racers. View Bye-Week Schedule. But, at the last race of the season, all of the MN League teams will be competing together. It will truly be a state championship race! Get ready for two days of racing action! That’s right. We need two full days of racing since we have 63 teams competing at the Season Championship race. Review the Race Flyer for the full race schedule and details. 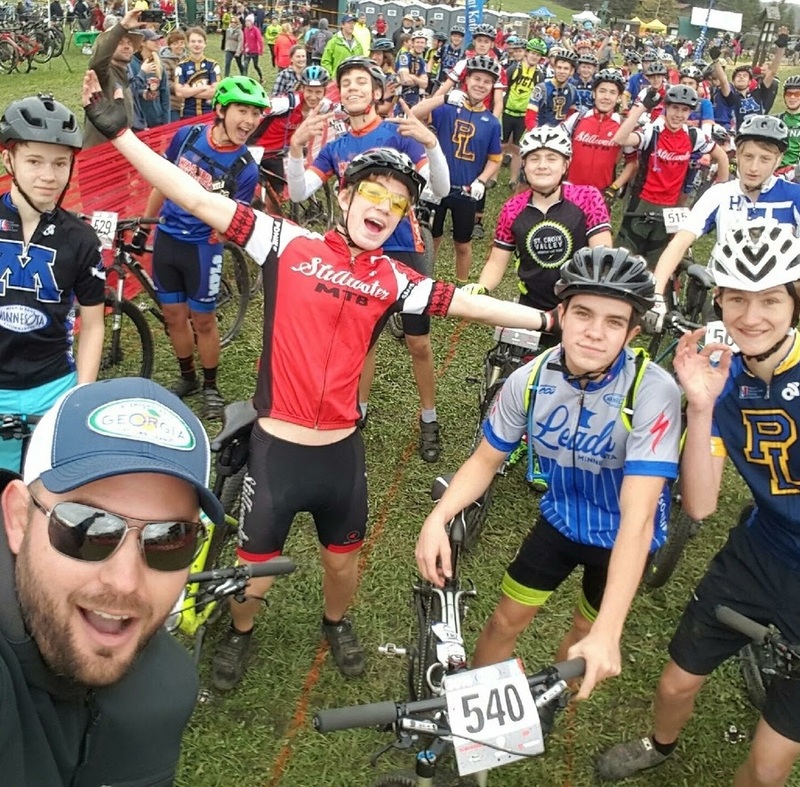 This entry was posted in News and tagged Mankato MN, Minnesota River Valley, MN High School Cycling League, Mountain Biking, Mountain Biking Mount Kato, National Interscholastic Cycling Association, NICA, Southern Minnesota on October 19, 2018 by Russ Lowthian. 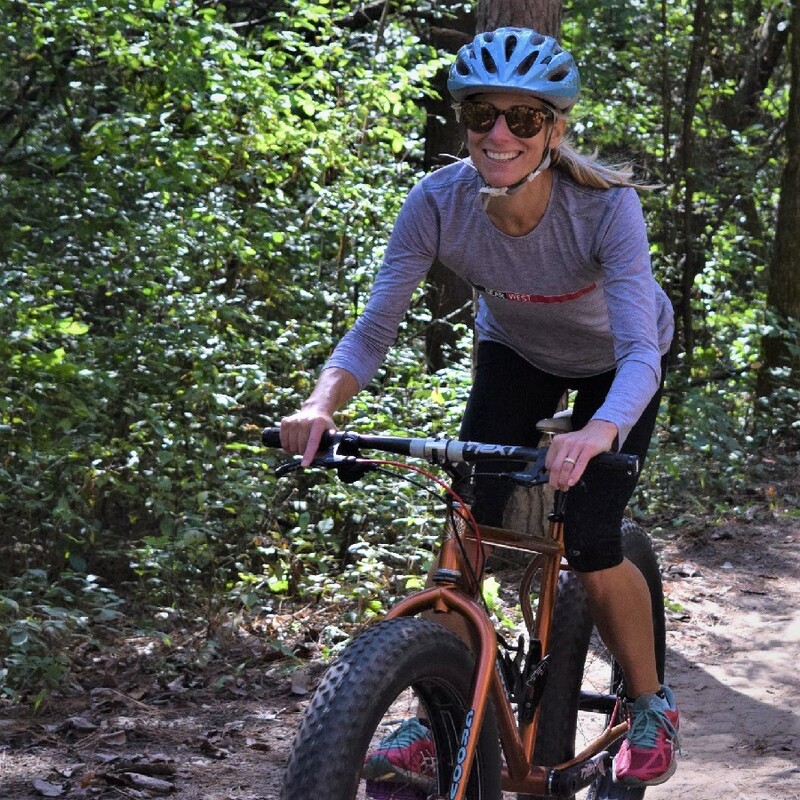 A perfect fall day to get out on the mountain bike trail and burning some holiday calories while testing your fat bike legs. This entry was posted in News and tagged bicycle lifestyle, bike minnesota, fat bike, Get Phat with Pat, Minnesota Mountain Bike Trails, Minnesota Off-Road Cyclists, Minnesota River Bottoms, Minnesota River Valley, Minnesota trails, MORC, mountain bike fun, Mountain Biking, Penn Cycle, Surly bikes on December 5, 2017 by Russ Lowthian.